Let's do this! Here comes Stacked (again!!) Vancouver's monthly multi-location pinball madness! Events will rotate between Pub 340, Landyachtz, and 12 Kings Pub all year long! These are public events open to all 19+. *ALL events on a Friday night except the finals! All events start at 7:30 PM sharp! Please arrive before 7 PM to register! Games will not be set on free play but tournament games will be plugged. No cash prizes day of event. Prize pool goes towards the top 16 at the end of the season! There will be day of prizes from our sponsors tho. The Landyachtz events will be after store operating hours. Weather depending we may have the BBQ fired up for the Landyachtz events, or ordering pizza is possible for people who want to chip in. WPPR points given out after every event. Finals will be for CASH and also WPPRs for the day. Formats designed for 3 to 3.5 hours tops start to finish. The formats will be designed to avoid waiting as much as possible! All events will be Strike/Knockout events. 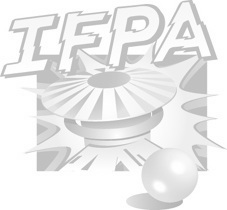 This may change in the future but any format changes will be communicated 30 days in advance to abide by the IFPA rules. 1 Mulligan for the season. Finals are for CASH and WPPRs for the day. The finals format is a double knockout 16 player tournament. Top 16 people get cash prizes at year end depending on how large pot is. Payouts will not be heavily weighted towards the top 3 players as some standard breakdowns seen in pinball tournaments, sharing the money is better! Money will be spread out more between all players of the top 16. Beer prizes from Big Rock and Strange Fellows (for day of prizes). Prizes from Landyachtz and whoever else.